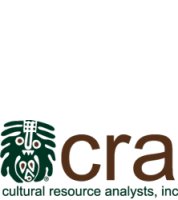 Online Kentucky, Ohio and West Virginia Radiocarbon Database | Cultural Resource Analysts, Inc. This database was provided by Dr. Fred A. Finney of Upper Midwest Archaeology, St. Joseph, Illinois. For information on the database, visit the Database Introduction. Download the database data (CSV format). Culture Years B.P. S.D. A.D. or B.C. S.D. The following sites are close to CUVA. Notes: 1. More than one date has been published for CWRU-2A. The age of this sample remains uncertain because the CWRU laboratory never submitted their dating results to the journal Radiocarbon. 2. All dates in this table were backchecked against the published results in the journal Radiocarbon whenever possible. 3. Middle Historic and Late Historic used above follow definitions in Quimby (1966). 2002 Archeological Inventory and Evaluative Testing for Proposed Developments at 33SU121 Cuyahoga Valley National Park, Summit County, Ohio. Preliminary Report. Midwest Archeological Center, National Park Service, Lincoln, Nebraska. 1986 The Staas Site (33Cu224): 1985 Excavations. Archaeological Research Reports No. 66. Cleveland Museum of Natural History, Cleveland. 1982 Survey and Evaluative Testing within the Cuyahoga Valley National Recreation Area: Sites 33Su87 and 33Su102. Archaeology Research Reports No. 40. Cleveland Museum of Natural History, Cleveland. 1992 Late Woodland Fortifications in Northern Ohio: The Greenwood Village Site. Kirtlandia 47:3-23. Cleveland Museum of Natural History, Cleveland. 1973 Gillie Rockshelter: A Late Woodland Phase in Summit County, Ohio. Unpublished Master’s Thesis. Kent State University, Kent. 1973 Preliminary Analysis of Recent Excavations at the South Park Site, Cuyahoga County, Ohio. The Pennsylvania Archaeologist 43(1):25-52. 1989 The Squaw Rockshelter (33CU34): A Stratified Archaic Deposit in Cuyahoga County. Kirtlandia 44:17-53. Cleveland Museum of Natural History, Cleveland. 1994 The South Park Village Site and the Late Prehistoric Whittlesey Tradition of Northeast Ohio. Monographs in World Archaeology No. 20. Prehistory Press, Madison, Wisconsin. 1981 Archaeological Investigations in the Cuyahoga Valley National Recreation Area. Archaeological Research Reports No. 30:1-586. Cleveland Museum of Natural History, Cleveland. 1997 Archaeological Investigations at Selected Sites in the Cuyahoga River Valley, Cuyahoga and Summit Counties, Ohio. Reports of Investigation No. 467. Institute for Minnesota Archaeology, Minneapolis. 1986 Excavations at the Stanford Knoll Site, Cuyahoga Valley National Recreation Area, Summit County, Ohio. Archaeological Research Reports No. 65(1). Cleveland Museum of Natural History, Cleveland. 1989 Krill Cave: A Stratified Rockshelter in Summit County, Ohio. Kent State Research Papers in Archaeology No. 8. Kent State University Press, Kent. 2000 Front Yard Archeology: Hopewellian Occupation at the Szalay Site. Hopewell Archaeology Newsletter 4(1):10-11. Copy on file, Midwest Archeological Center, National Park Service, Lincoln, Nebraska. 2001 Archeological Inventory and Evaluative Test Excavations at the Historic Point Farm, Cuyahoga Valley National Park, Boston Township, Summit County, Ohio. Draft manuscript version of a Technical Report. Midwest Archeological Center, National Park Service, Lincoln, Nebraska. 1974 Radioisotopes Laboratory Radiocarbon Date List I. Radiocarbon 16(2):166-177. 2000 The Szalay Site: Hopewellian Occupation in Northeastern Ohio. Unpublished Master’s Thesis. Department of Anthropology, University of Nebraska, Lincoln. 1986 Archeological Investigation at the Vaughn Site (33Cu65), Cuyahoga Valley National Recreation Area, Ohio. Occasional Studies in Anthropology No. 18. Midwest Archeological Center, National Park Service, Lincoln, Nebraska.